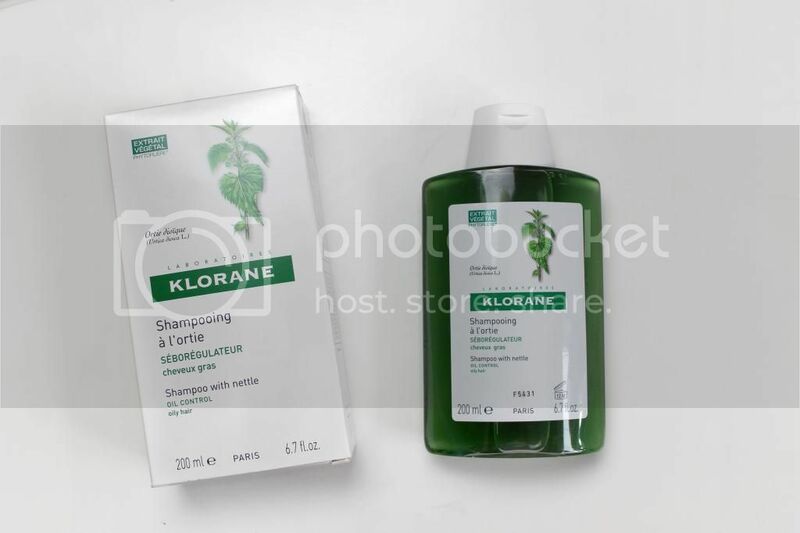 Having quite oily skin and hair, it can be quite a nightmare keeping it under control which is usually through cans of dry shampoo and no longer than 2 days between hair washing, so when I started seeing the Klorane Nettle Shampoo pop up claiming to control these problems, I thought I’d give it a go. It claims to give you more time between washes and regularise the amount of oil your scalp produces while slowing its spread throughout the hair. The nettle shampoo itself is quite a thin consistency so you do end up using quite a bit although it lathers well. It also has a distinctive but not unpleasant nettle smell. If you ever played out when you were a child and got stung by nettles and rubbed them with dock leaves, well it’s reminiscent of that. My hair definitely feels very clean after use – almost squeaky clean which I do like the feeling of – but I definitely cannot skip conditioner with unless I want to lose a hairbrush and a clump of hair. In terms of living up to its claims, well I’d say on the whole it does. My hair does hold up in the evening after a day of excessive hair twirling which is where normal shampoos start to fail, but it excels at stopping the spread of oil throughout my hair so I only end up with greasy hair in the hairline around my face. Conversely, although my ends stay oil free meaning I use less dry shampoo, I find if I’m not too careful it can end up drying them out a little too much. Now I would say this is probably due to the fact that as I have blonde hair, it can be quite dry anyway especially at the ends. It’s the nature of blonde hair so its possible this wouldn’t happen with virgin or dark coloured hair. I’d still proceed with caution though and if you have normal or dry hair I’d avoid it completely. I think it’s a really good clarifying shampoo and it does do what it claims so it definitely is worth a shot if – like me – you have problems making your hair last longer than a couple of days. However I wouldn’t use it as my daily shampoo as I think it would dry out my hair too much and it’s fairly expensive for the amount you get, especially as I seem to end up using quite a bit with each application.